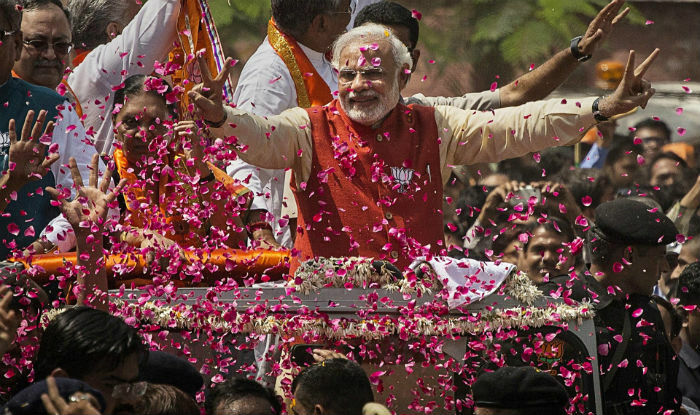 It’s set to be a special ‘Holi’ for India’s Prime Minister Narendra Modi and the Bharatiya Janata Party he leads. 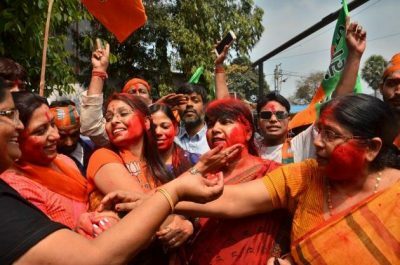 Saffron is the reigning colour as wild celebrations erupted outside the BJP’s national headquarters in Delhi and UP’s capital city of Lucknow. Swamped by fervour of this huge victory, party activists splashed a rainbow of colours, distributed sweets and set off crackers. 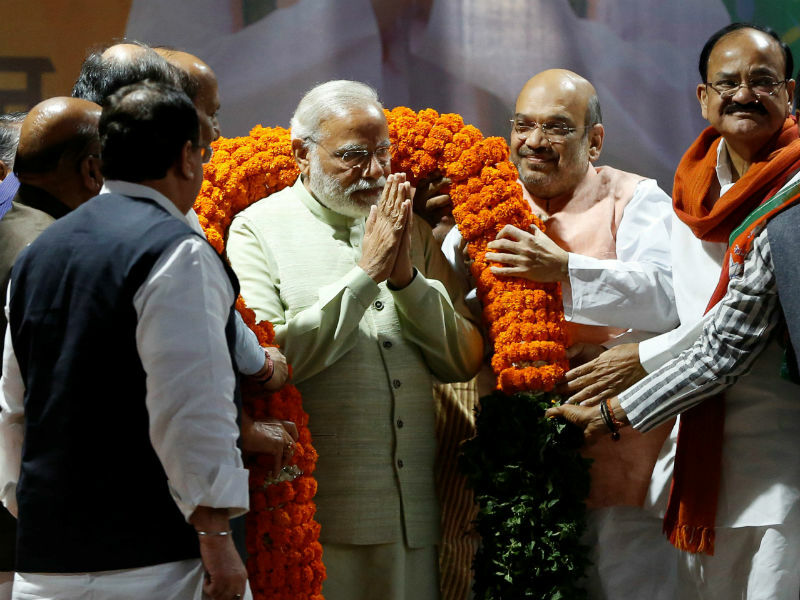 Riding the crest of a spectacular Modi wave, the party is poised for an unprecedented landslide victory in the elections to the legislature in the politically key state of Uttar Pradesh. This is the first major test of Mr Modi’s popularity since last year’s demonetization aimed at curbing black money. 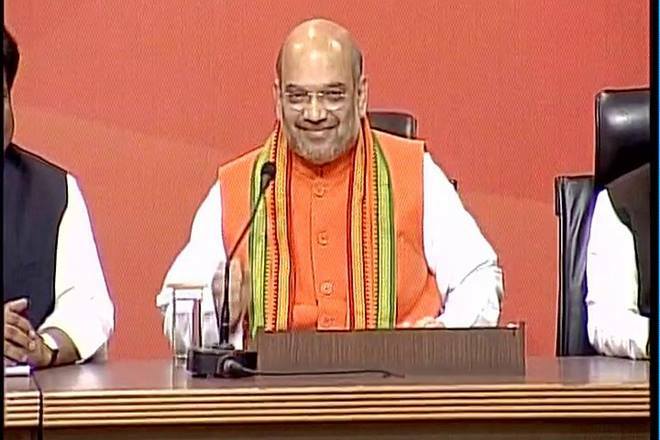 As trends emerged from the counting of ballots in legislative elections in UP and four other states, the BJP is also set to return to power with a thumping majority in the adjacent northern Himalayan state of Uttarakhand after a break of five years, voting out the Congress party led by Sonia Gandhi and her son Rahul Gandhi. However, the Congress is all set to roar back to power in Punjab state and coastal state of Goa after hiatus of a decade and is locked in a close battle with the BJP in the north eastern state of Manipur. 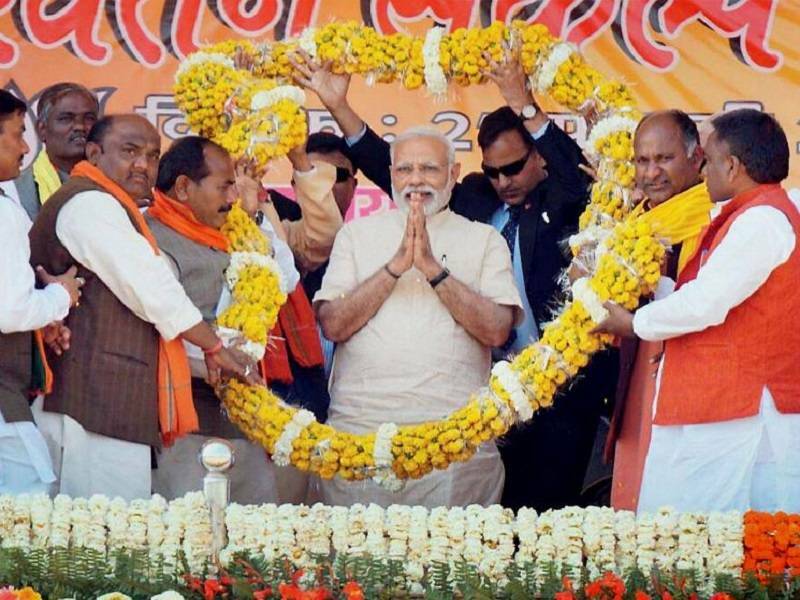 The victory in UP is crucial for prospects of Mr Modi and BJP in the 2019 parliamentary elections for a second successive five-year tenure as the northern state has the largest number of Lok Sabha seats – 80 out of the total 543 seats in the Lower House of Parliament.